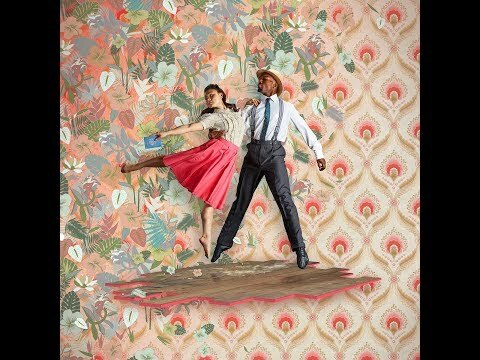 This autumn audiences will glimpse what the first generation of Caribbean immigrants experienced when they came to England 70 years ago, in the major new Phoenix Dance Theatre production: Windrush: Movement of the People. These new arrivals, known as the Windrush generation, named after the ship the SS Empire Windrush which brought 492 people from the Caribbean to the UK in 1948, marked the start of the post war immigration boom which was to radically change British society. This exciting new contemporary dance piece by Phoenix Dance Theatre’s Artistic Director, Sharon Watson, focuses the story on the some of the first Jamaican people who came to Britain. Beginning with the departure of the SS Empire Windrush, busy, excited scenes are juxtaposed with an emotional duet as a pregnant lady isn’t allowed to board, and is left behind on the dock side. The dance piece captures the travellers first glimpse of Tilbury Docks, and is inspired by the iconic images of them filing off the gang plank. They could not have envisaged the impact their journey would have on the social and cultural fabric of the UK. Windrush: Movement of the People eloquently captures the daily insidious exclusion and racism the newcomers faced; faceless dancers use subtle gestures to cleverly create uncomfortable and unforgettable characters and scenes. But, supported by a thrilling and diverse soundtrack, with original music by Christella Litras, we see how Jamaicans began to create their own opportunities, setting up churches and establishing a ‘black culture’ which is now part of British style. In a touching duet, we see families left behind reunited in their new homes. The original music score by Christella Litras is funded by the PRS for Music Foundation’s Open Grant. Sharon Watson is the 7th Artistic Director of Phoenix Dance Theatre. She trained at the London School of Contemporary Dance, and was one of the first female Principal Dancers invited to join the all-male award-winning Phoenix Dance Company, touring with the company from 1989 to 1997. Having left to pursue a number of other ventures, she returned in 2009 as the new Artistic Director. Sharon has received a number of awards and accolades. In 2010, she was named as one of the Cultural Leadership Programme's Women to Watch, a list of 50 influential women working in arts and culture in the UK. In 2016, she was awarded The Sue Ryder Yorkshire Women of Achievement in Business Award and the 'Yorkshire Women of the Year' award. Christella is a producer, musical director and artist, who most recently produced and musically directed Rob Green's new EP. She formed the award-winning vocal performance group Caution Collective to develop the talent of local young singers, and has been performing as a Vandella alongside Motown recording artist Martha Reeves on her European and UK tours for the past five years. In 2017 Eleanor won the Linbury Prize for Stage Design for her work with Phoenix Dance Theatre. Eleanor trained at Bristol Old Vic Theatre School, graduating with an MA in Theatre Design in 2017, and at The Arts University Bournemouth, graduating with a First Class BA (Hons)in Costume and Performance Design in 2013. Luke studied Lighting Design at Rose Bruford College (London) and has worked professionally in theatre, dance and TV. 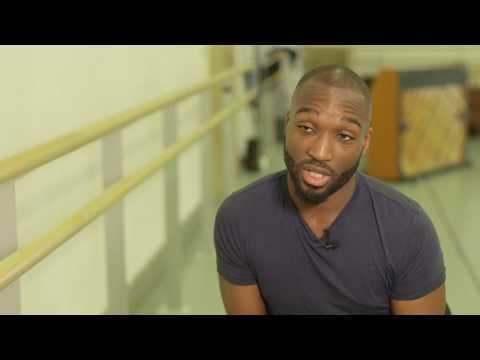 Working for Phoenix Dance Theatre he was commissioned in 2017 to light Calyx and most recently Windrush. He previously worked with VERVE, the postgraduate performance company of the Northern School of Contemporary Dance, where he designed for choreographers such as Ben Duke, Gemma Nixon and Jonathan Goddard.